Owing to the sacred and deeply symbolic nature of the practices associated with Initiations of the Vajra Vehicle, books on tantra are delicate matters. Without the requisite initiations and the receiving of transmissions on Commentaries, books on many aspects of tantra cannot be read by non-Initiates. 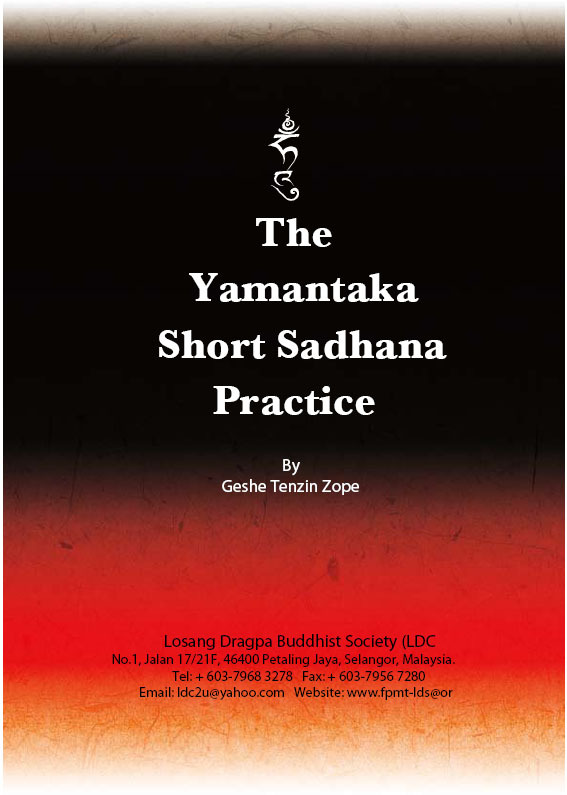 In line with this, this book “Yamantaka Short Sadhana Practice” is intended only for those who have received the Solitary Yamantaka Initiation. 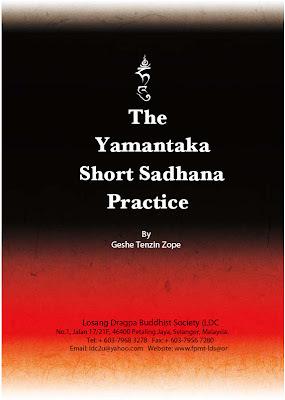 The sole motivation for the publication of this book is in tandem with the great Dharma generosity of Geshe Tenzin Zopa in giving such precious guidance to initiates - to enable them to do their daily sadhana practice correctly and in a meaningful way; to bring practitioners closer to the goal of actualizing Buddhahood to benefit all beings. In the Tibetan Buddhist tradition, those receiving tantra teachings of this nature, would be required to regard the Lama giving the teachings as a Guru and to include that Lama into one’s Merit Field visualizations.